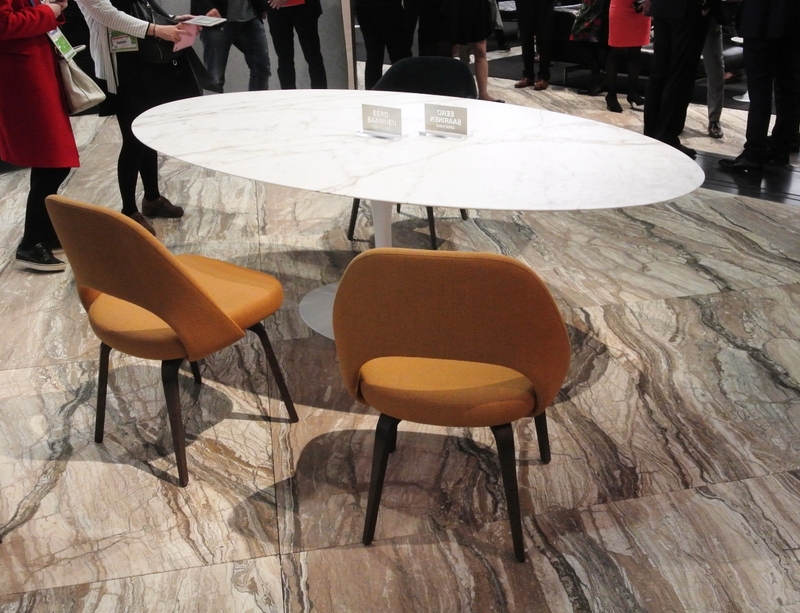 Knoll presented new collections and products enhancements, that confirm the creative vision and corporate philosophy that have made it a world-famous brand with an illustrious heritage. 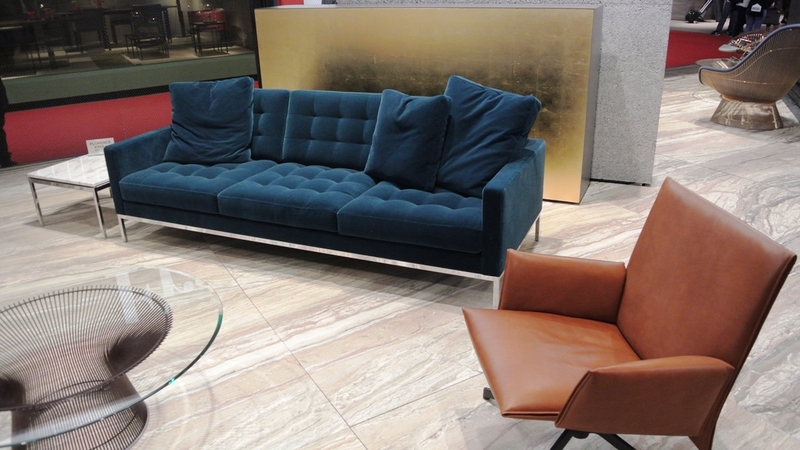 In keeping with the motto “Modern Always,” Knoll presented new designs alongside its modern classics designed by architects like Florence Knoll, Ludwig Mies van der Rohe, Eero Saarinen and Harry Bertoia, reflecting the determination to always offer innovative ideas, regardless of passing fashions—ideas that last in time. 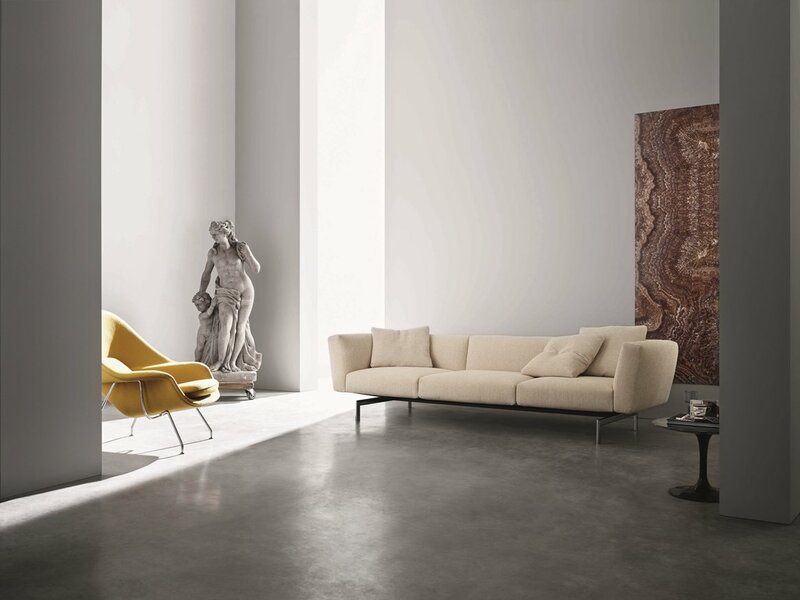 The latest research has generated products by contemporary designers like Piero Lissoni and Marc Krusin, where comfort, balance, elegance and functional quality are the guidelines. 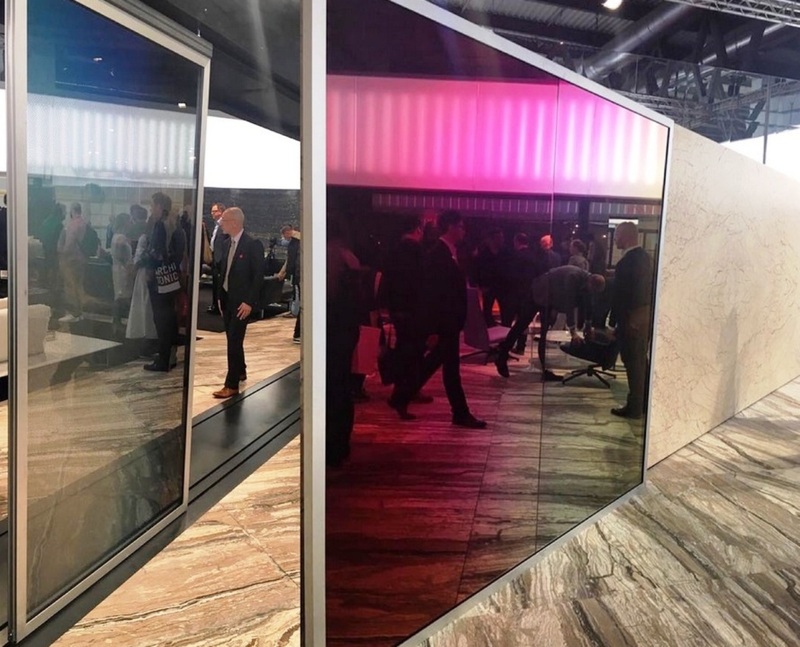 Once again this year, Knoll called upon OMA, the studio co-founded by the Dutch architect Rem Koolhaas, to design the “This is Knoll” stand—a hyper-modern version of Ludwig Mies van der Rohe’s pavilion—focusing on chromatic effects, stylistic twists and timeless furnishings. 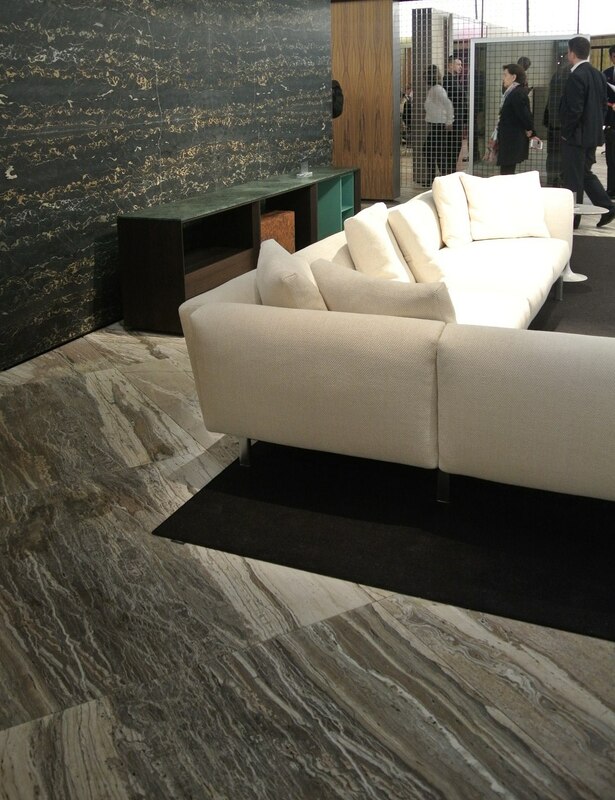 In an even bigger display space, refined down to the smallest details, also thanks to the collaborations with SolidNature — famous all over the world for its natural stones used in prestigious projects — and Sabine Marcelis — who experiments with different materials to achieve new, surprising visual effects—the key word is atmosphere. 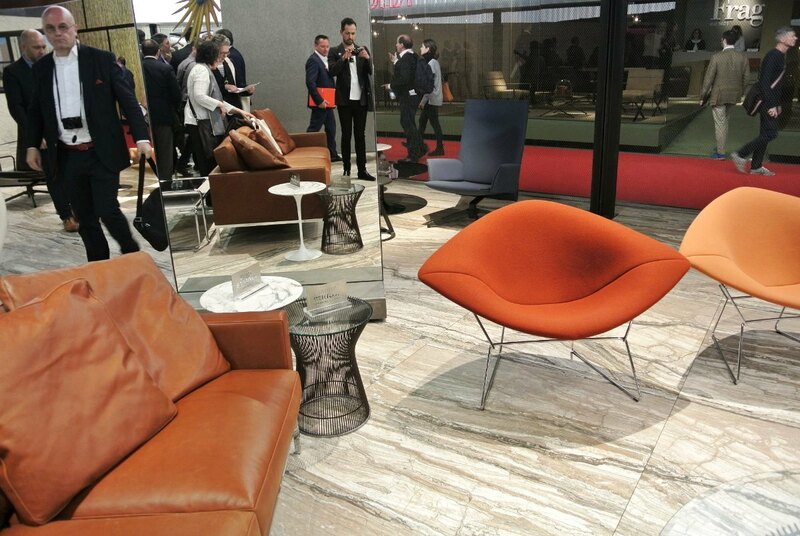 The presentations inside the booth reveal fresh nuances of signature classics and design icons mixed with the new products. Past the entrance, where the dynamic 04 Counter worksurface of the “Tools for Life” collection designed by OMA for Knoll in 2013 is on display, the focus shifts to the new creations of 2016: first Avio by Piero Lissoni, in different compositions perfectly mingling with the classics of the collection; then the new chairs by Marc Krusin. The path inside the stand reveals new interpretations of design icons mixed with the latest pieces, harmoniously shifting from minute details to elegant, unexpected settings. 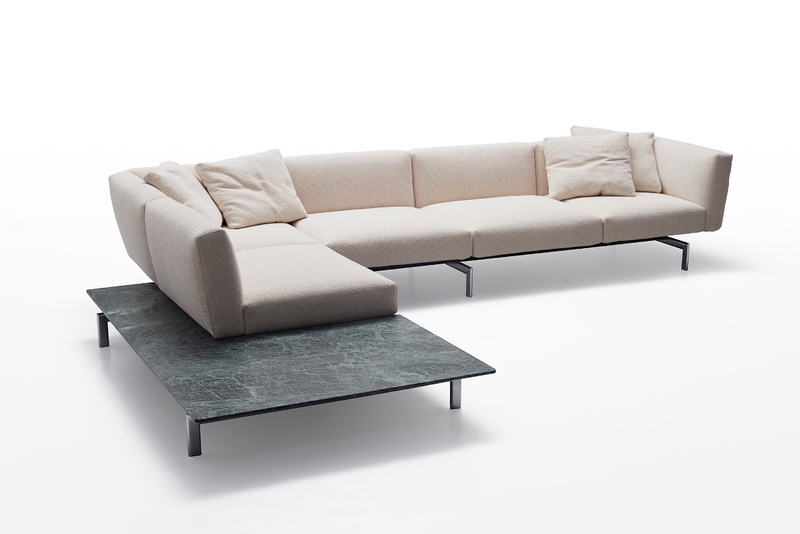 Avio Sofa System Collection -The new 016 collection designed by Piero Lissoni, a contemporary and versatile sofa component system, to reinterpret and make better use of any type of space. 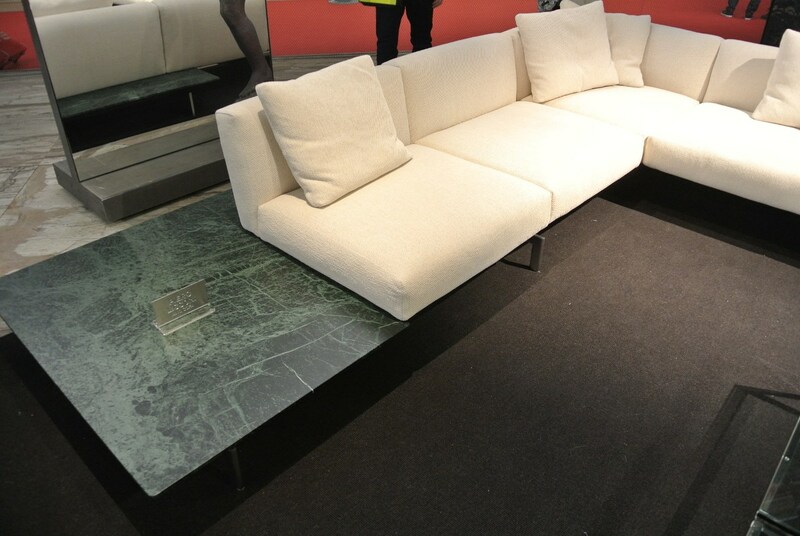 Avio, designed by Piero Lissoni, is the new new, contemporary and versatile sofa component system, to reinterpret and make better use of any type of space. It is ideal for those who appreciate solid, elegant design that epitomizes a comfortable, relaxed lifestyle. Modular and linear, with a light structure that blends perfectly into different settings, Avio is driven by aesthetic design research, skillfully balancing spatial relationships and proportions. The new sofa combines functional and aesthetic poise, playing with the contract between the lightness of the slim structural framework and the substantial volume of the seats. A contrast resolved in the harmony of an ideal sofa for home and for contract applications, perfectly inserted in the stylistic direction set by Florence Knoll. 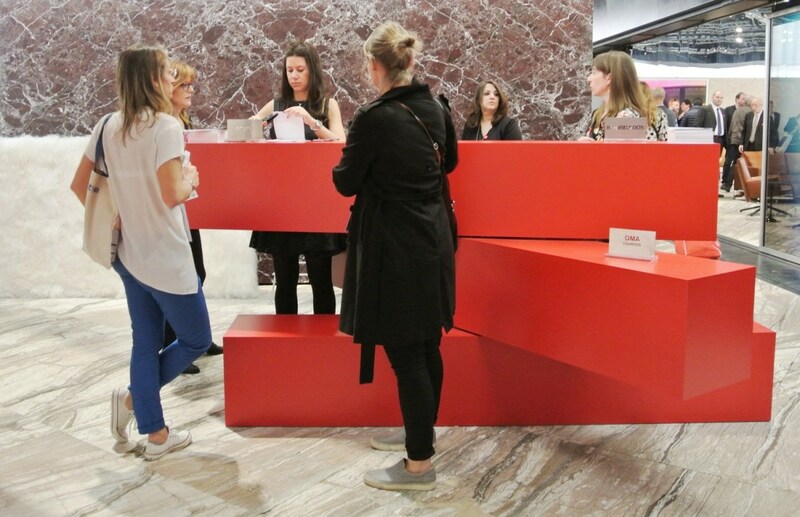 Avio is made with a load-bearing structure, a steel beam from which supports branch out for seats, backs and tables. This framework translates into a versatile system that can generate benches, sofas for two or three people, a chaise longue, tabletops, in a practically infinite sequence, including corner compositions of impressive size. The padding provides maximum comfort, and the sofa can be covered in leather or fabric, completed with decorative throw cushions. 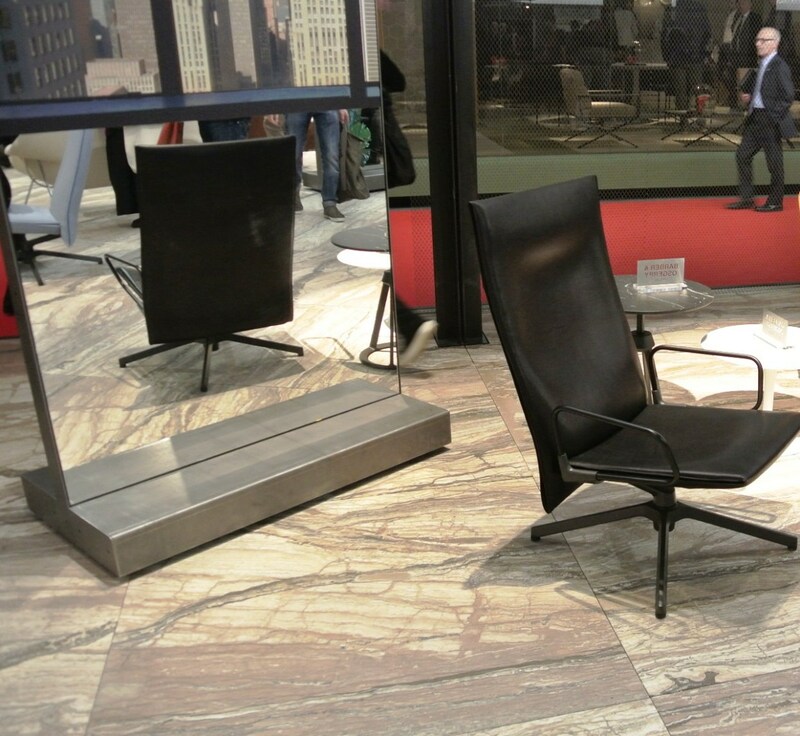 “My points of reference,” Lissoni continues, “are Mies van der Rohe, Eero Saarinen, Florence Knoll. Names that have awesome importance for anyone who works on design. 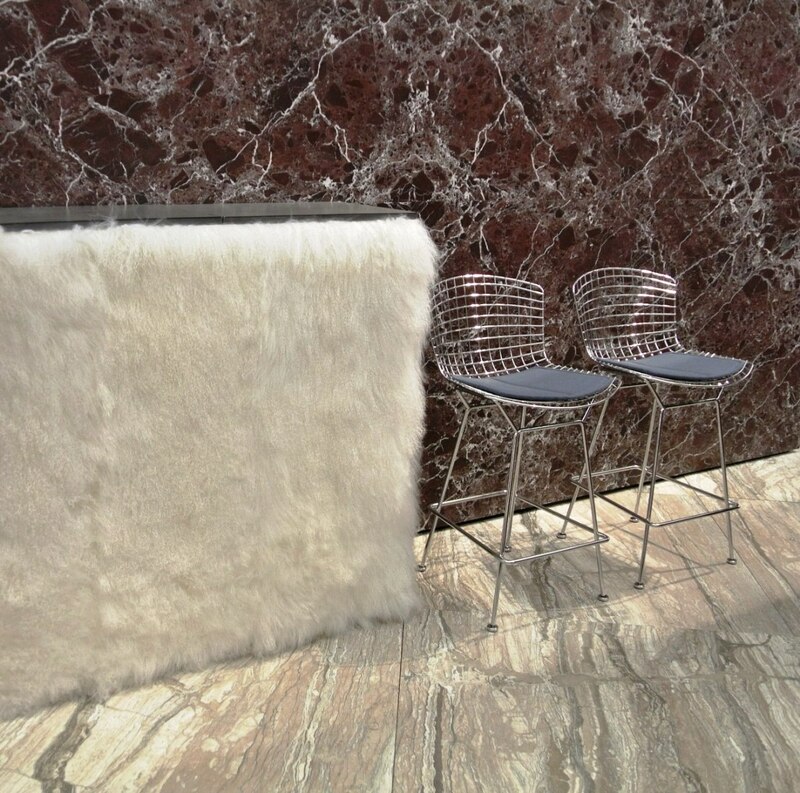 The collaboration with Piero Lissoni—who has previously worked with Knoll—has led to a system of upholstered furnishings with an innovative technological concept. 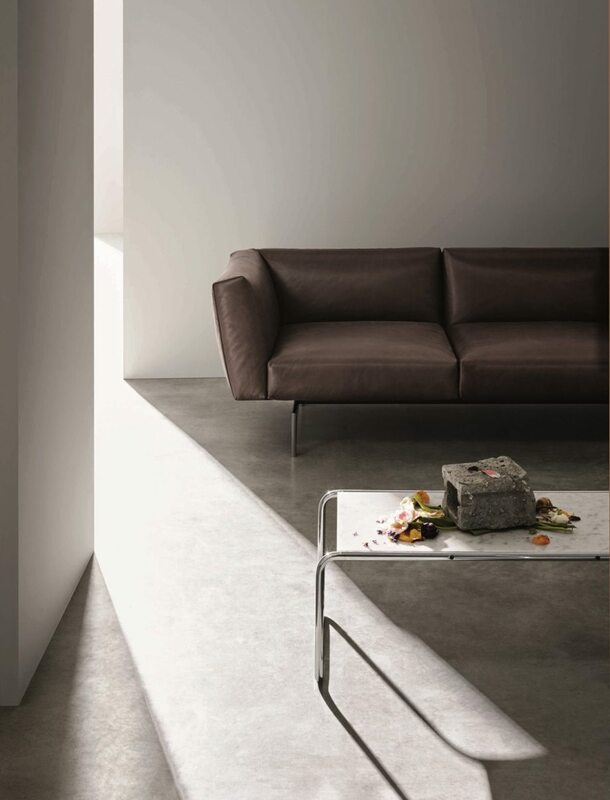 With its nonchalant sense of style, the Avio sofa by Piero Lissoni plays with contrasts, from the metal structure to the soft cushions, the essential lines that conceal complex workmanship to aesthetic detailing based on painstaking research, including the use of different materials on different surfaces. A sensual game of full and empty parts, lights and shadows: Piero Lissoni has designed Matrioska, a variable-geometry storage system. Each piece can be moved at will to create always different squences, offering a glimpse of the contents without fully revealing them. 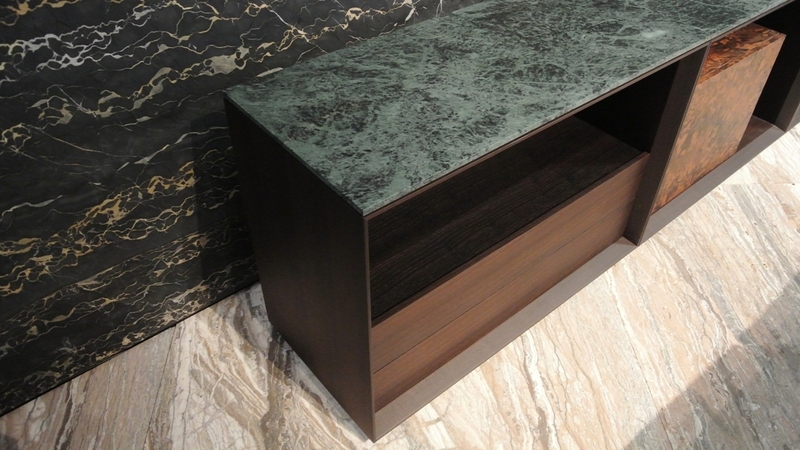 Traditional materials—wood, marble, glass—give rise to a structure that is solid and essential at the same time. The effect is almost immaterial, and the pieces can be closed with doors or left open, arranged at regular distances from one another or in free compositions. Quality craftmanship, simple, precise lines and refined details are the key terms of the new seating system designed by Marc Krusin. This collection embodies the perfect blend of clean lines and remarkable padded softness. 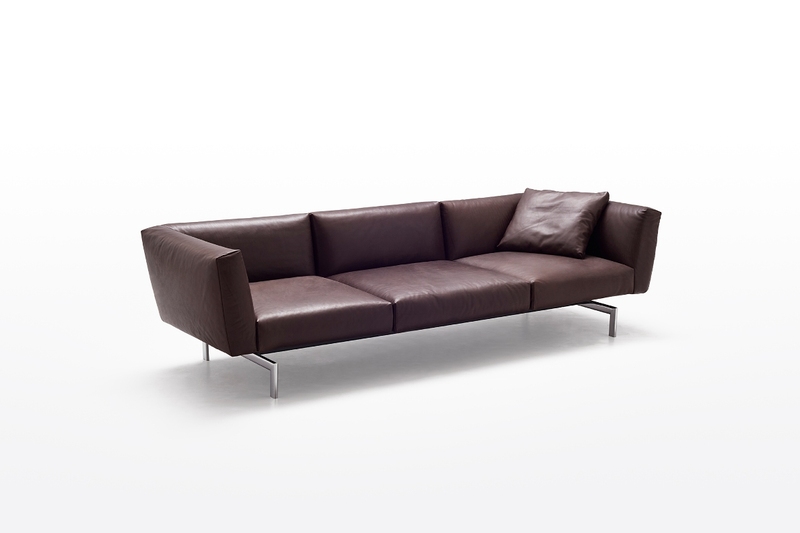 It juxtaposes compact forms with ample, comfortable seats. The result is a harmonious object, available in three versions: a seat with or without armrests, and an armchair with an enveloping back. 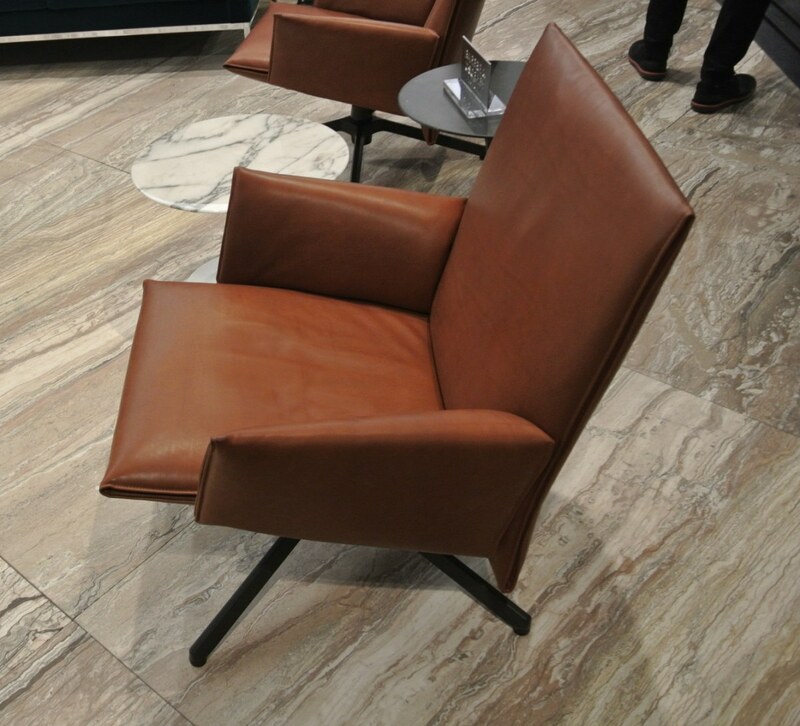 Not just good looks, but also functional quality: the detail of the meeting between the seat and back makes it possible to easily move the armchair in a practical, immediate way. 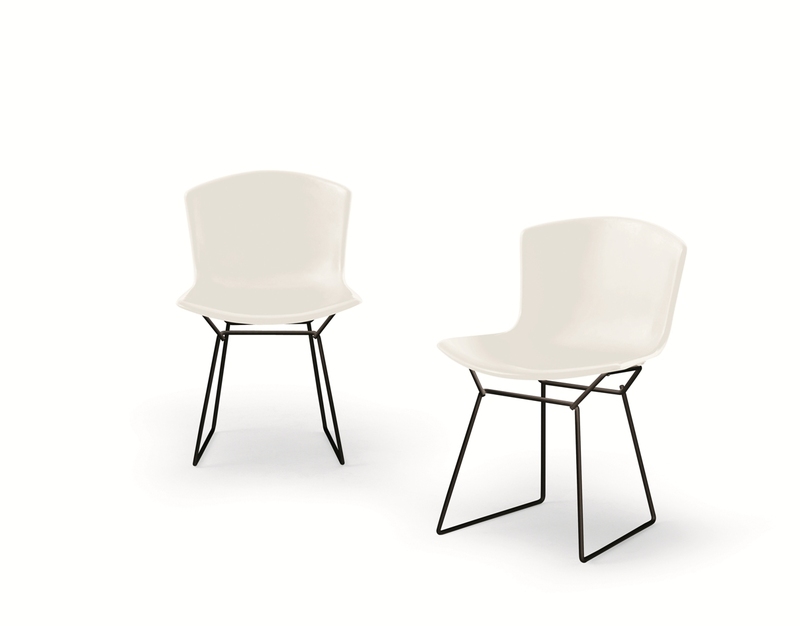 The collection includes three different seating types sharing the same bases, available in die-cast aluminum or solid ash, in a range of finishes. 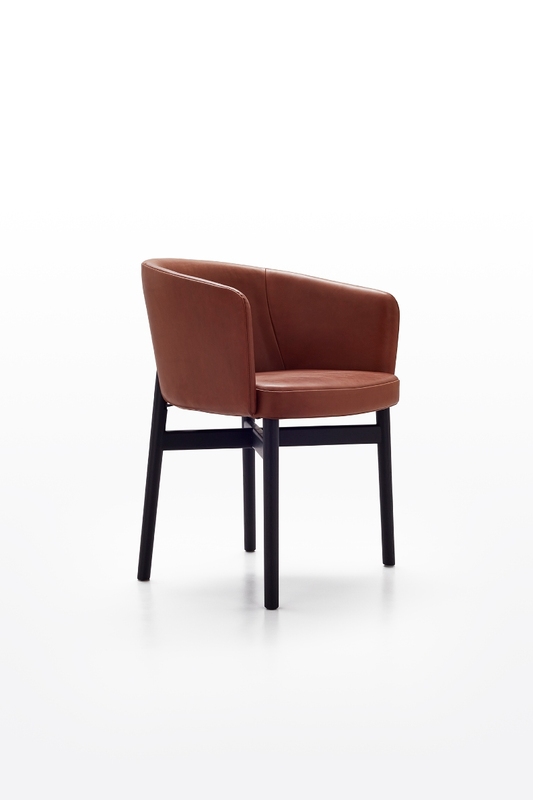 The cover can be selected from the Knoll range of offerings, including leathers and velvet, wool or cotton fabrics. 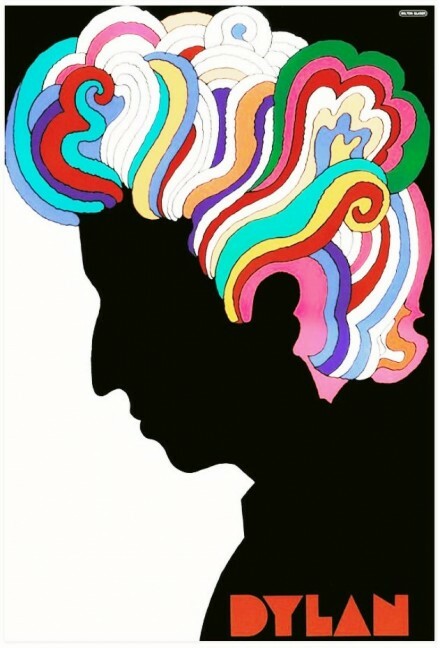 “It’s much less about me (and my design), and much more about excellence in a product. Less ego, better results.“. 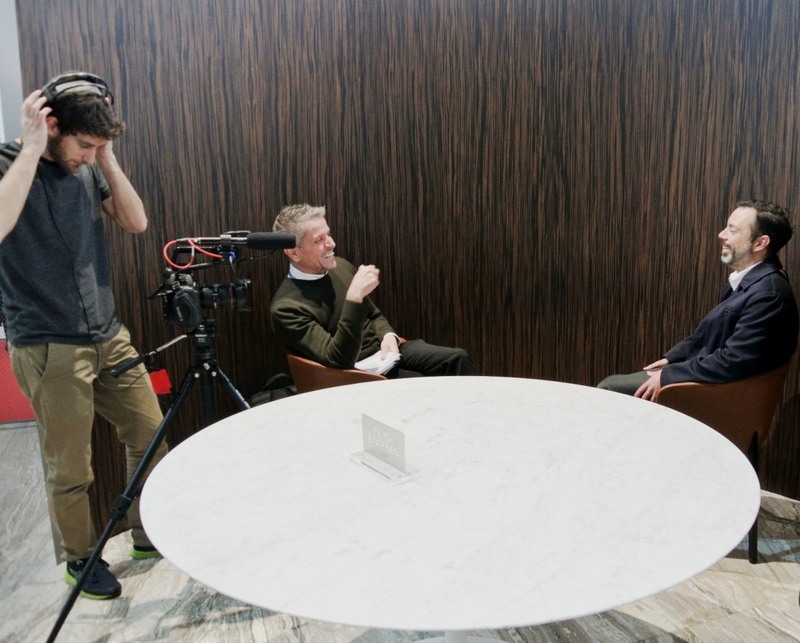 This is how Marc Krusin explains the dedication that goes into his work, in a single phrase that sums up the character of a designer whose ongoing alliances with Knoll began in 2011 with a collection of tables and seating that won the Good Design Award that same year. 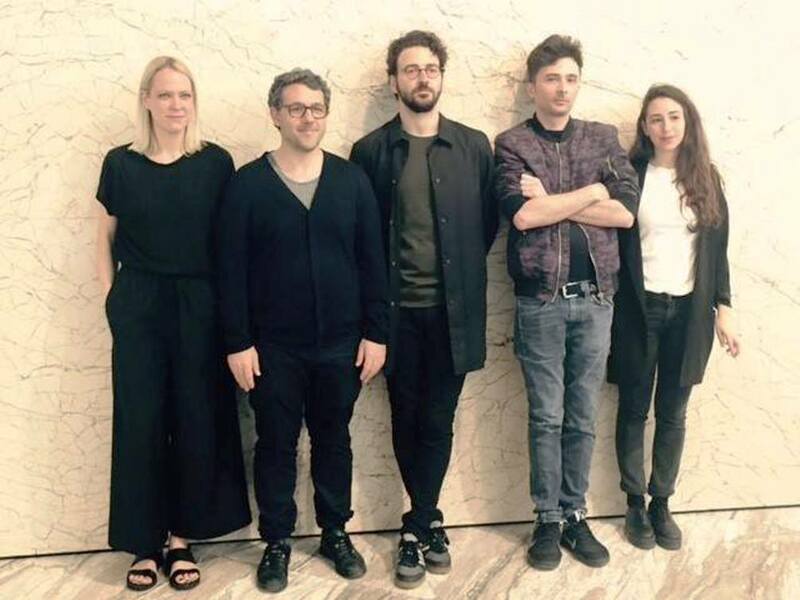 Based on these excellent results, in 2016 the collaboration continues between Knoll and the designer, who after years of work in Italy has opened his own studio in London. The study of space and objects, with extreme attention to detail, has enabled Krusin to propose a series of items that are precisely aligned with the philosophy that has always inspired Knoll’s work: discretion and timeless quality. ” The objective is to introduce a discreet product that is silently attuned to the surrounding space. This is the thinking behind the conception and design of the new products, which will then work perfectly with the company’s classic icons, ” says Benjamin Pardo. The Bertoia family now includes an elegant new bronze finish and a refined cowhide cover in natural, black and dark brown. The modern structure reinforces its character, juxtaposed with a material of timeless style and an increasingly contemporary finish. 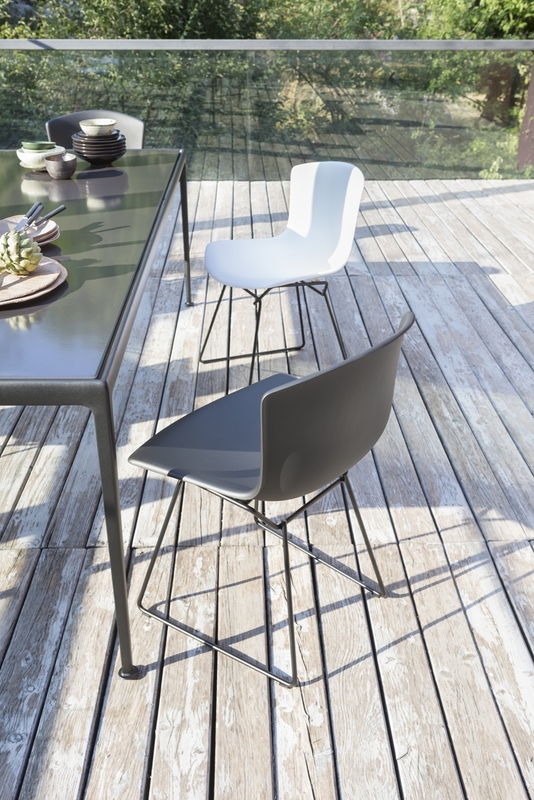 The classic Bertoia Side Chair presented at the conclusion of the collection’s tribute year, 2015, for the centennial birth of the designer, is now available as an outdoor version in three different shell colors—white, black and gray—with the metal structure painted in white or black. A modern and colorful interpretation of an inimitable chair, faithfully conserving ts unique linear design, the new piece stands out for the comfort of the seat, adapting to the widest range of contexts, from residential to contract. 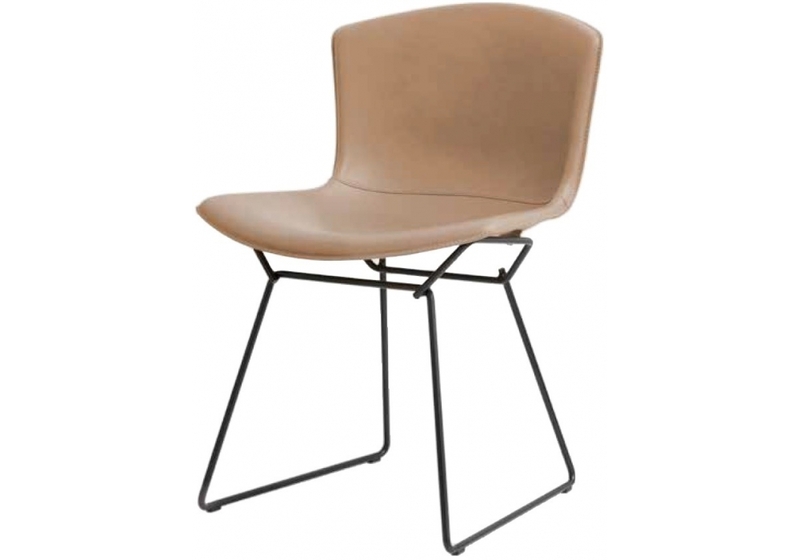 The Bertoia Barstool is also available in this new version. A cushion in six different colors, breathable but waterproof, ideal for prolonged outdoor use, adds another touch of innovation. 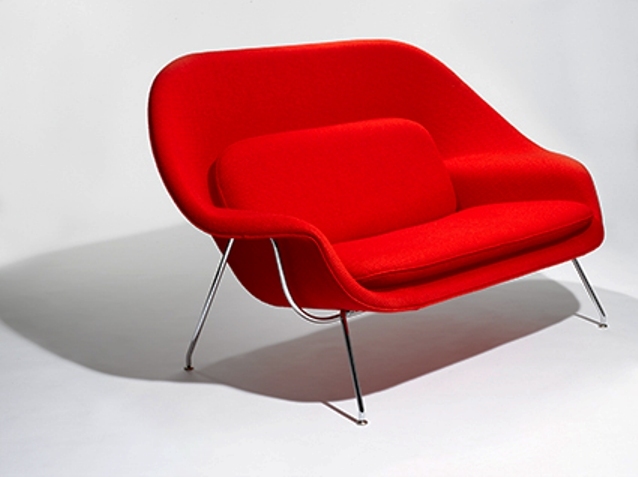 Knoll presents the Womb Settee, a two-seat sofa designed by Eero Saarinen in 1948, prior to his major architectural work for the General Motors Technical Center in Michigan, a complex for over 5,000 employees. 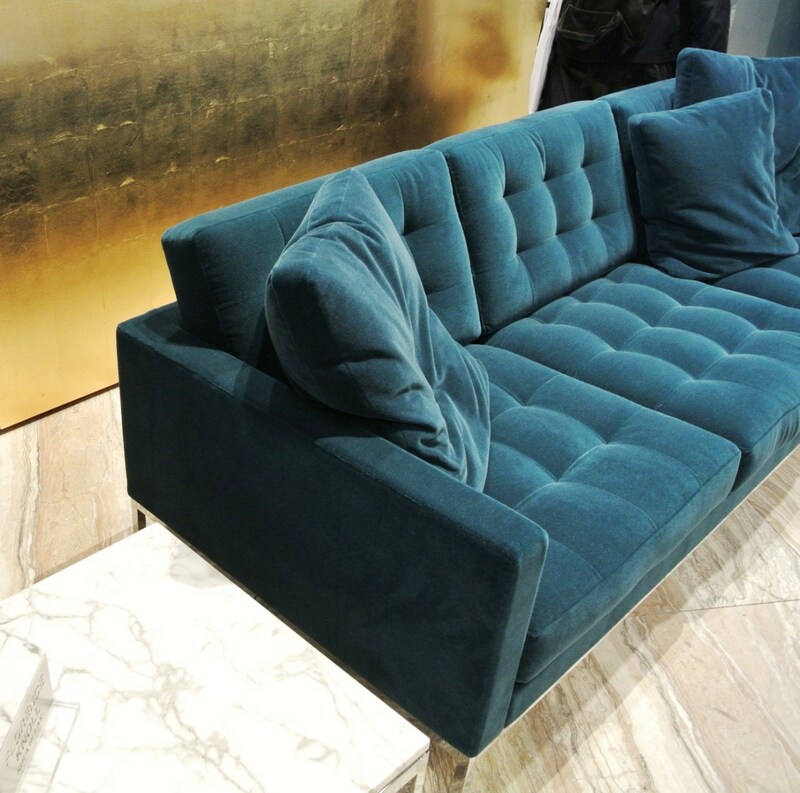 The settee has never gone out of style, and is still perfect for all settings, from the living room to the bedroom, as well as the office. 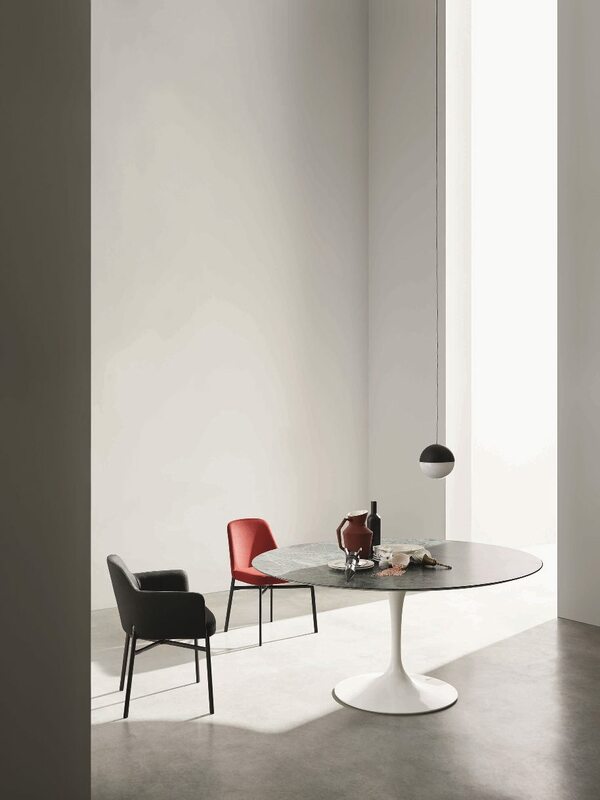 With this sturdy oversized form, once again Saarinen emphasized the concept of necessary, timeless function. 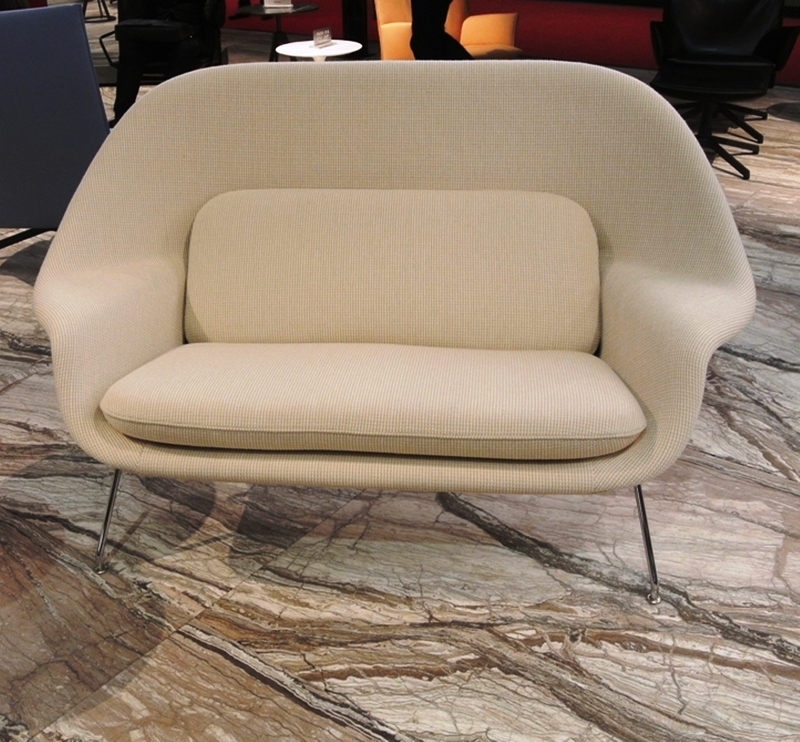 The Womb Chair doubles its comfort and joins the Relax collection, with a foam-coated chassis in soft polyurethane and down-filled cushions for a chair that is sturdy, comfortable and welcoming at the same time. “The need for such seats has never gone away. 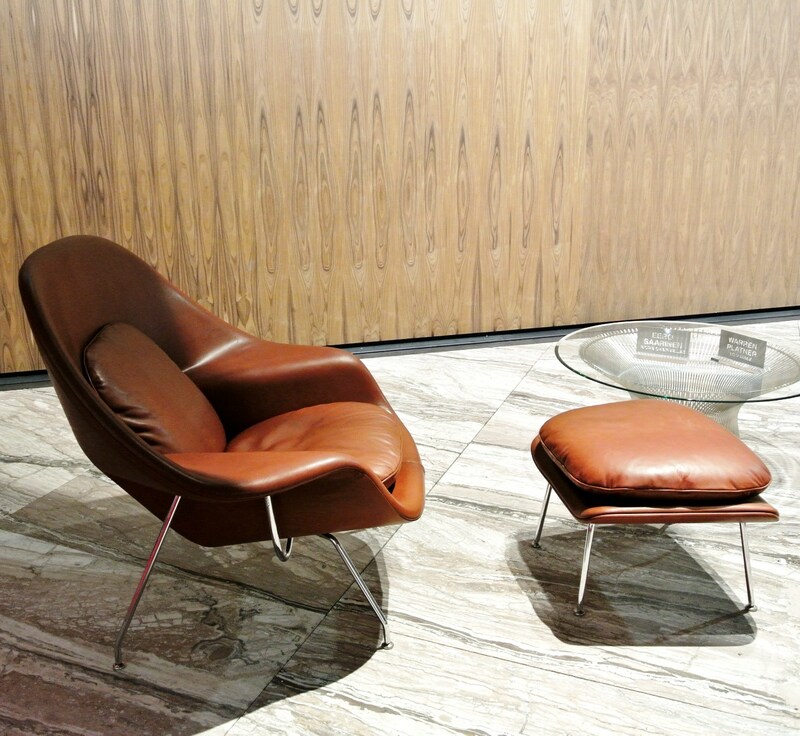 Now, more than ever, we have the need to relax,” Eero Saarinen said. 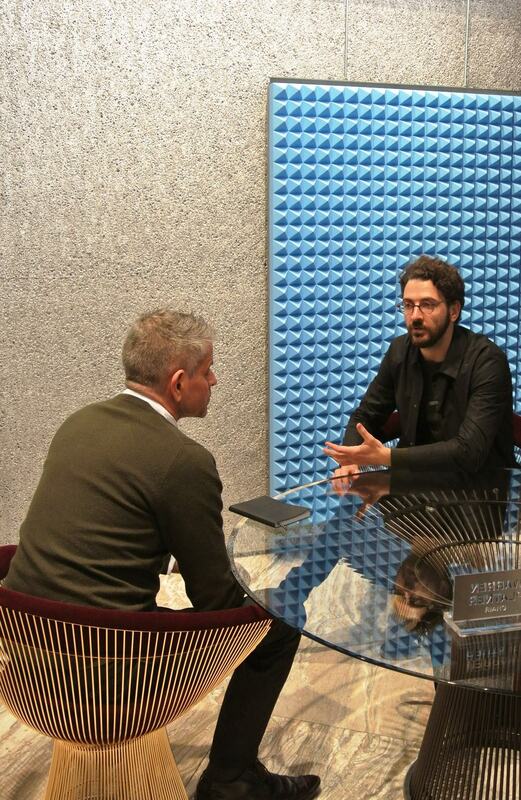 Edward Barber & Jay Osgerby’s first collaboration with Knoll was in 2013 when they designed a collection of sofas. 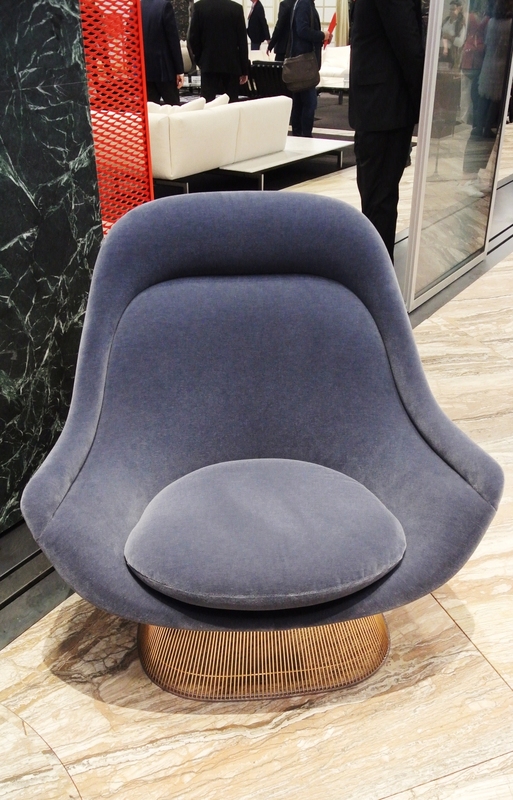 They then went on to create the highly successful Pilot Chair in 2015, an innovative, upholstered lounge chair. Pilot is a simple, comfortable and lightweight seating system designed for home, work and contract use. The collection expands on this year to include an ottoman that sits alongside Pilot, a natural extension of the collection with a matching cast aluminum base. 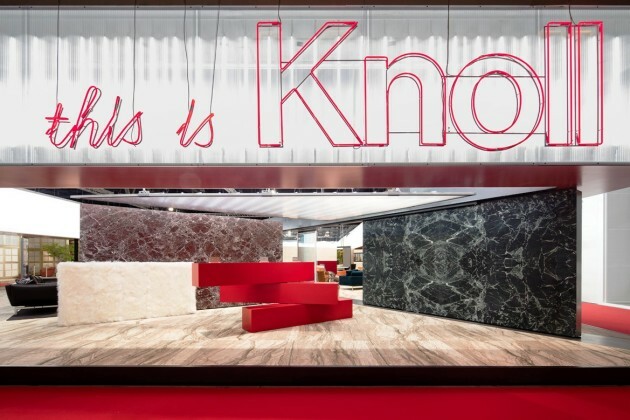 Once again this year, Knoll called upon OMA, the studio co-founded by the Dutch architect Rem Koolhaas, to design and install the company’s stand at the Salone del Mobile. 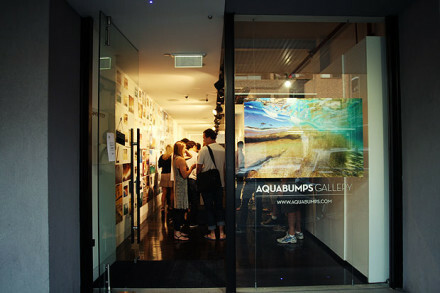 The space has been created to adapt to the flow of visitors, thanks to the unique choice of using mobile partitions to put this idea into practice. The walls of the main diagonal slide, making it possible to divide the stand into two separate sections, or to keep the area as open as possible. OMA has chosen different materials that reinforce the concept of heterogeneity and create perfect backdrops for the products of the Knoll collection: soft and solid, organic and synthetic, transparent and opaque. The first particular feature is that the new stand by OMA is a hyper-modern version of the pavilion of Ludwig Mies van der Rohe, where natural stone—today as in the past—plays a key role at center stage. 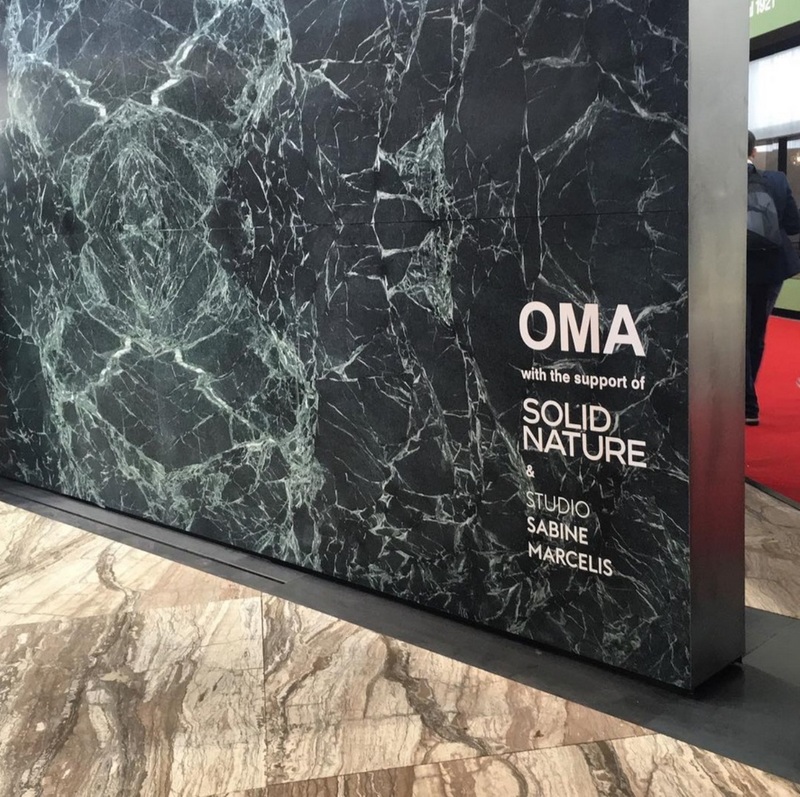 As an expert partner of OMA in the implementation of complex architectural projects with natural stone, SolidNature has contributed to transform the design concept into pure presence, testing the limits of material transformation with elegance and lightness, using some of the world’s most exclusive types of marble, like SolidNature’s signature travertine. OMA also commissioned Studio Sabine Marcelis to develop new work adaptable to an architectural scale for the “This is Knoll ” pavilion. 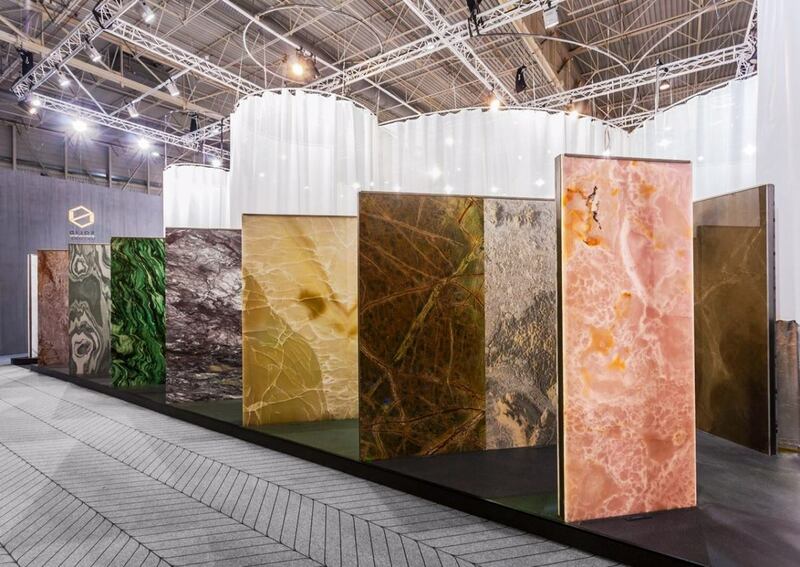 The “Architectural Glass Panels” by Sabine Marcelis represent a true experiment, combining glass, metal and touches of color to create architectural panels that act as spatial dividers or theatrical wings. The work completes the theatrical choreography invented by OMA, bringing out its playful, unconventional side. A sign, a color, a material. 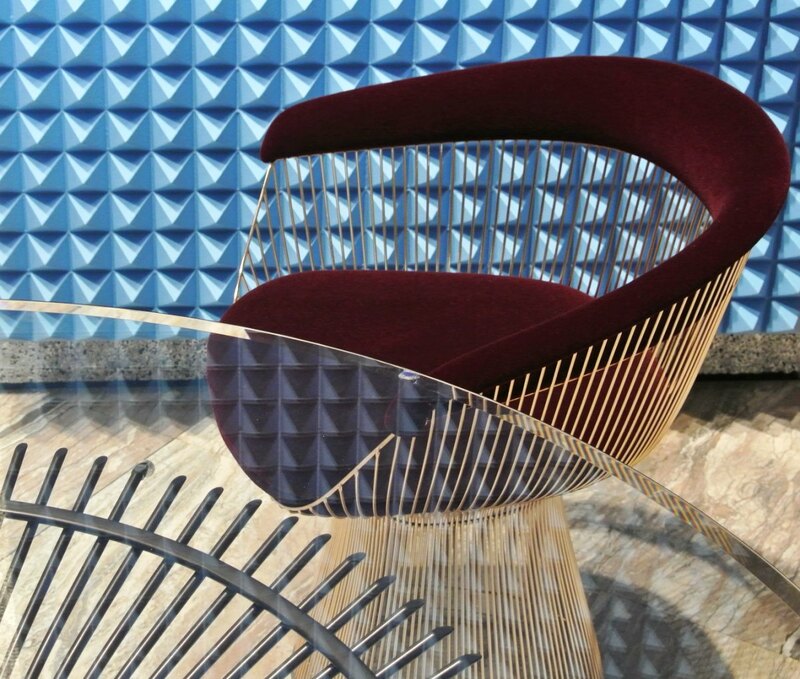 The new Knoll 2016 products are now the characters of a narrative, establishing a relationship with their surroundings while generating change and innovation. 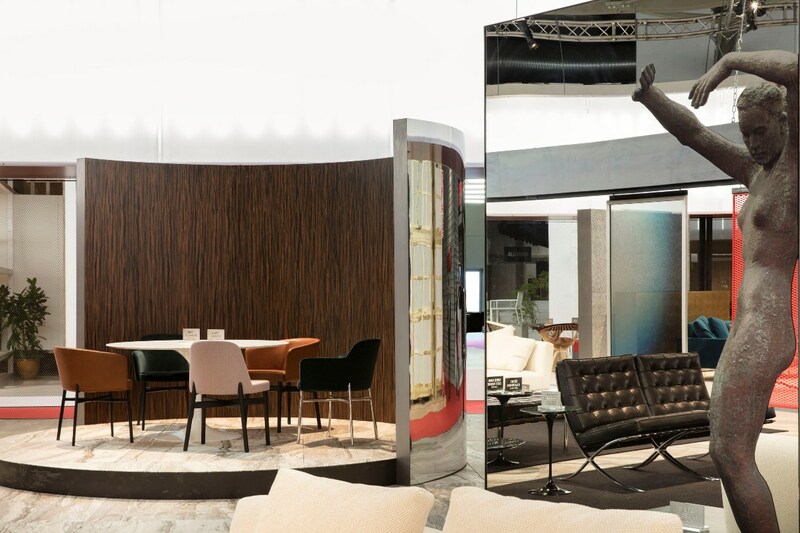 A new way of living based on personality and creativity designed for both home and work, from the most private rooms to the most public facilities. 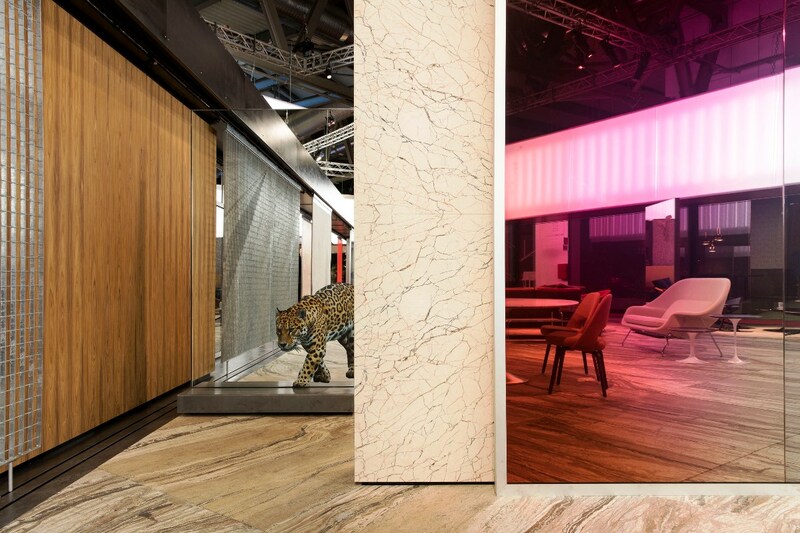 “Our space at the Salone illustrates the innovative spirit of Knoll design through the new creations developed for this year by Piero Lissoni and Marc Krusin, celebrating the past and future story of the brand at the same time,” says Demetrio Apollini, President of Knoll Europe. 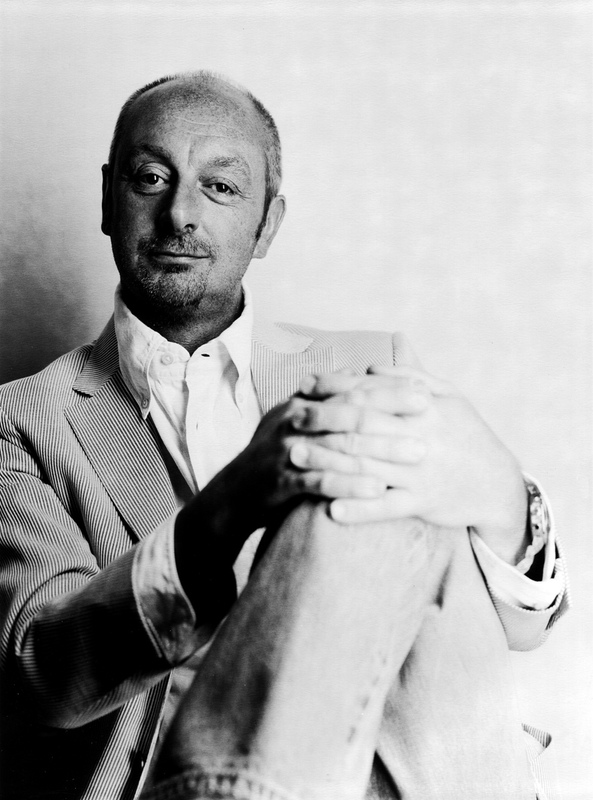 Piero Lissoni is architect, designer and art director. In 1986, he and Nicoletta Canesi founded Lissoni Associati, a multidisciplinary architecture and design firm based in Milan. This was followed by the opening of the visual communications company Graph.x in 1996 and later by the architecture firms Lissoni Architettura and the New York based Lissoni Inc.
Piero Lissoni is art director for major brands such as Boffi and De Padova and designs collections for internationally renowned names including Alessi, Flos, Glas Italia, Living Divani, Kartell, Kerakoll, Knoll and Porro. He has received an array of international awards, amongst which the Good Design Award, the Red Dot Award and the ADI Compasso d’Oro. Marc Krusin began his career in Italy where he worked tirelessly at the heart of the Milanese design scene for more than 13 years. He became Piero Lissoni’s right-hand-man and associate, leading all types of projects from product to interior design for clients of international reputation. 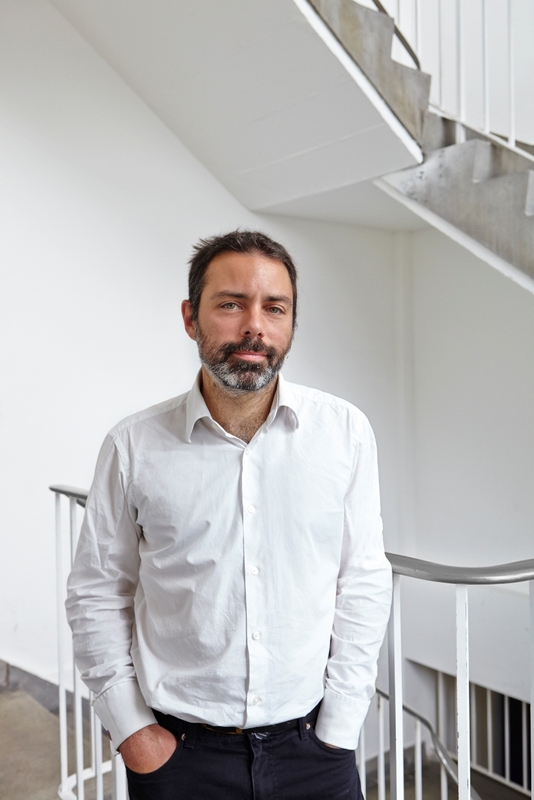 He played a fundamental part in helping the studio grow from 15 employees to over 60 and from being a studio with mainly Italian clients to being a studio with clients all over the world. He now has his own practice in London and continues to design spaces and products for clients in several countries around the world. 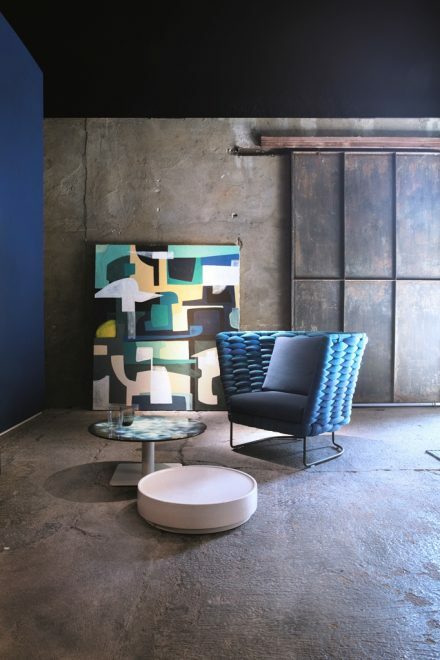 Among these is Knoll for whom he created the Krusin Chair and Table collection, and more recently the Anchor storage system, both of which have become very successful ranges for this internationally renowned company. Krusin’s latest introduction with Knoll is Pixel™, a portfolio of performance tables for the entire office with a focus on training and classroom spaces. 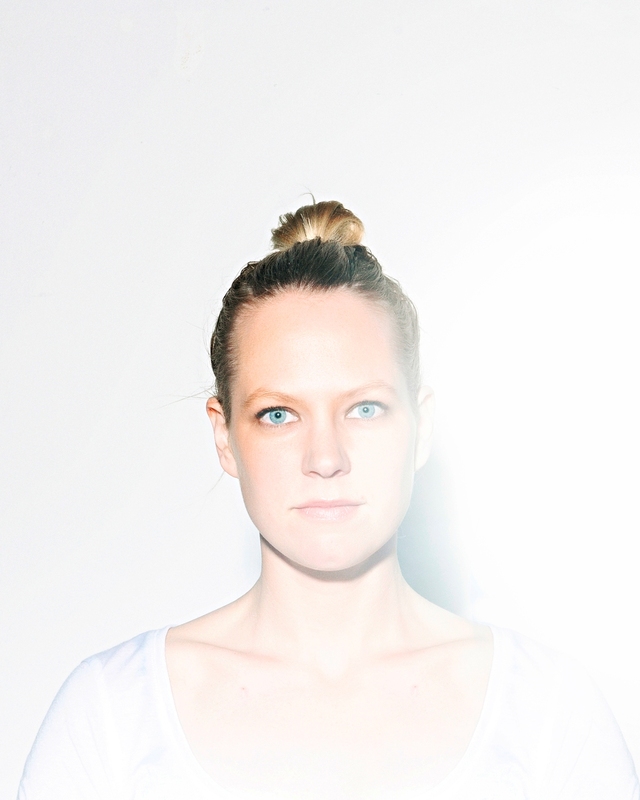 Sabine Marcelis is a designer based in Rotterdam, The Netherlands. Raised in New Zealand, she studied industrial design for two years at Victoria University of Wellington, School of Architecture and Design. 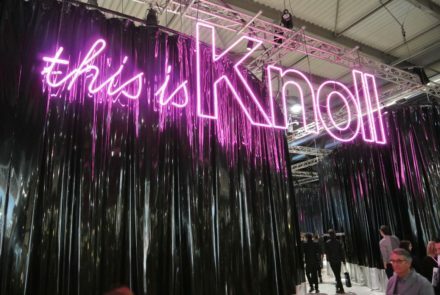 She continued her studies at the Design Academy Eindhoven, where she graduated in 2011. 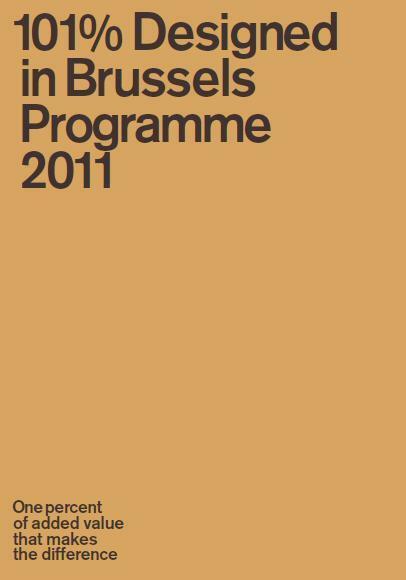 Since graduating, she has been operating Studio Sabine Marcelis, producing both self-initiated and commissioned work. Marcelis applies a strong aesthetic point of view to her collaborations with industry specialists. This method of working allows her to intervene in the manufacturing process, using material research and experimentation to achieve new and surprising visual effects. 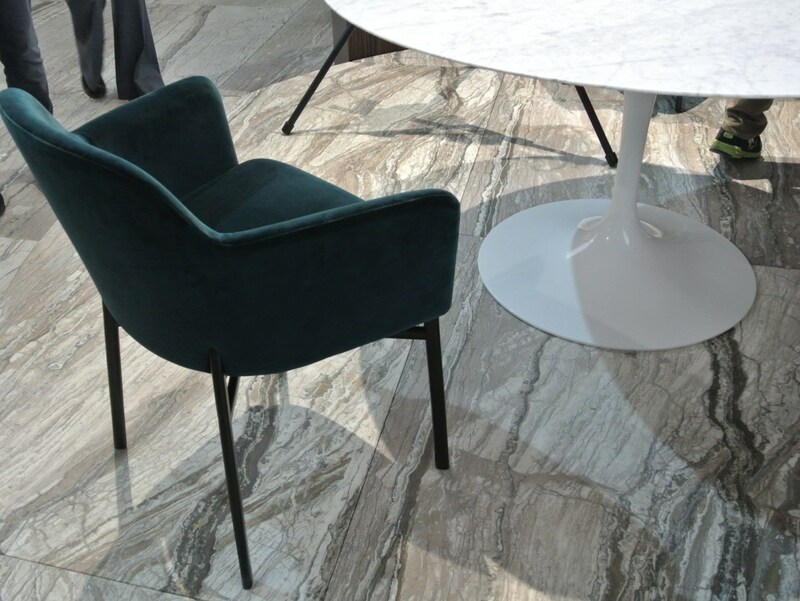 Danial Mahyari CEO, founded SolidNature in 2011 and today is a global supplier of exquisite natural stone for luxury developments, high-profile government projects and private residential properties. We work with world-leading designers and architects across the Middle East, Western Europe, Asia and the Americas. 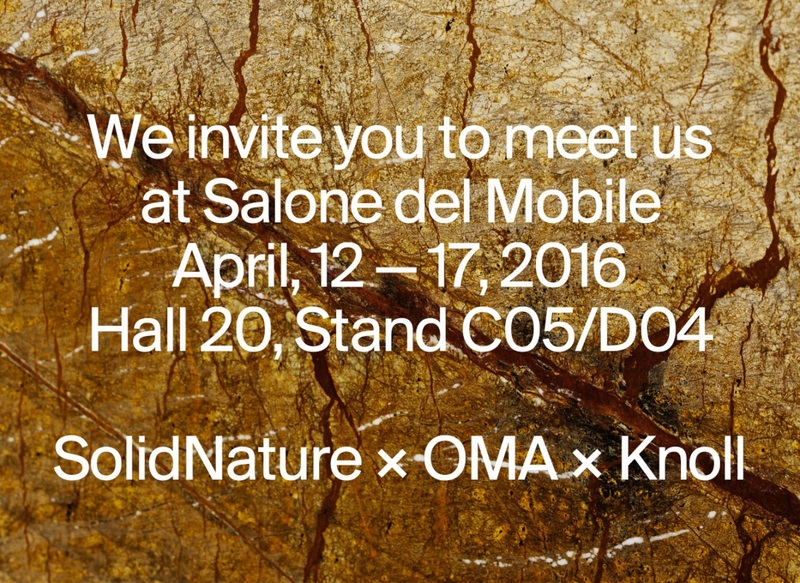 Since 2012, SolidNature has collaborated with Rem Koolhaas and his world-renowned architecture firm, OMA. We helped create the Qatar National Library, supplying high-end travertine to bring OMA’s vision for the pioneering design to life. We have since exhibited with OMA at Maison & Objet Paris in 2015 and 2016, and at the Monaco Yacht Show in 2015. 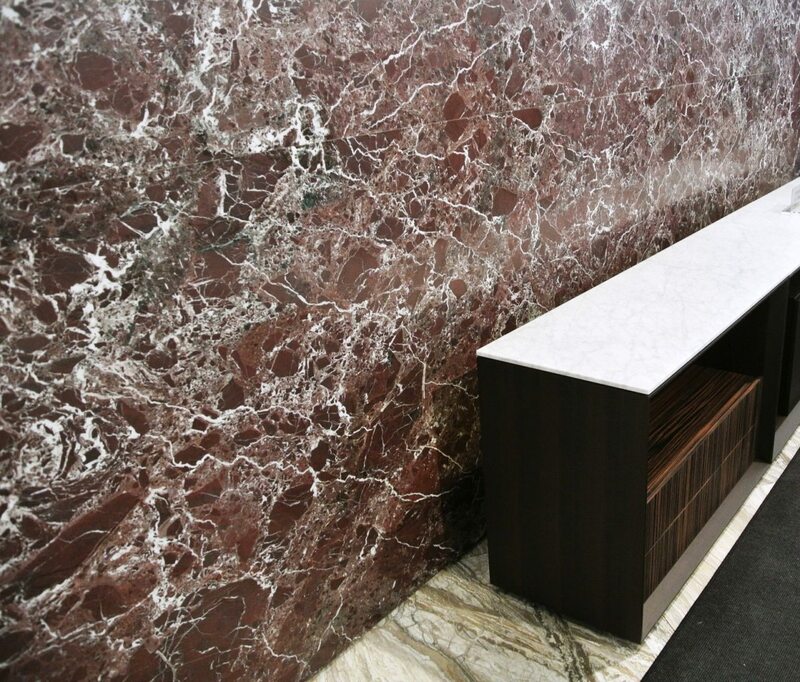 Our core ambition is to inspire clients to explore the endless possibilities of natural stone. We are driven by the most difficult projects, passionate about making the impossible possible. From creating a swimming pool from the most fragile onyx, to installing vast ceilings of travertine, we embrace the ideas that, in theory, should never work, and bring them to life. We are a trusted partner, from discovery to destination. 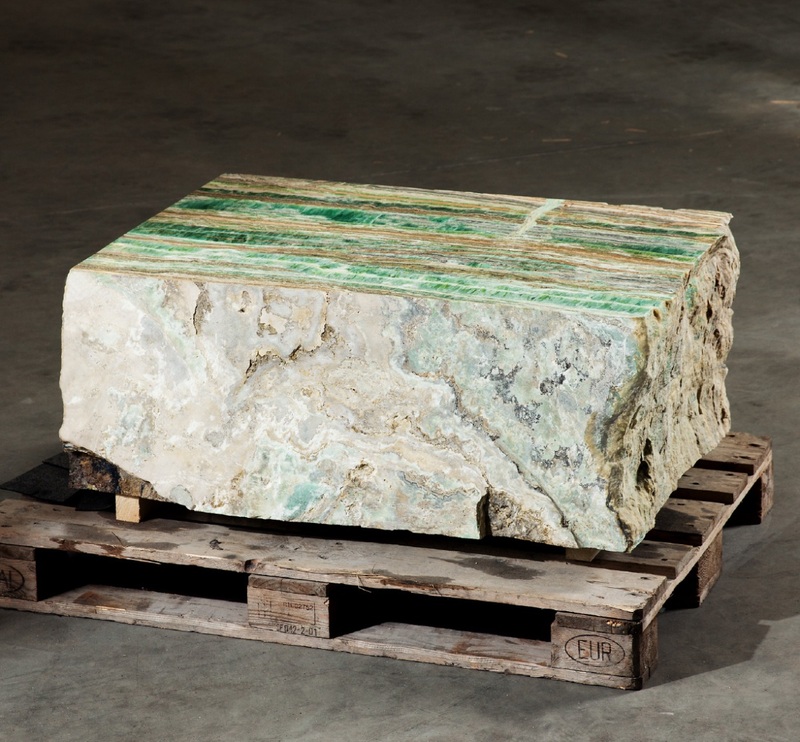 With direct access to over 150 quarries, including eight of our own, we control every step of the supply chain, guaranteeing operational excellence all the way from the quarry to installation. 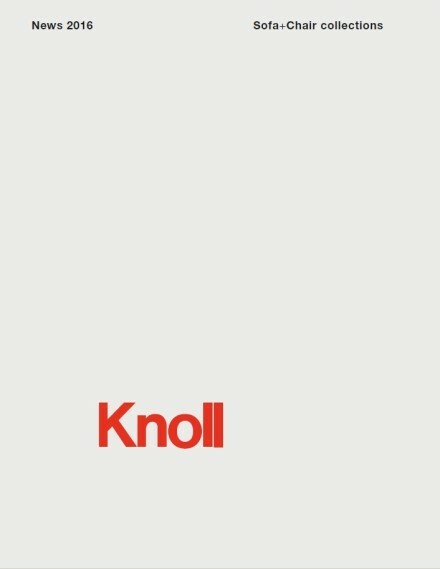 Founded in New York in 1938, Knoll is recognized worldwide as a leader in the design of residential and office furnishings, thanks to products that are inspiring, evolving and timeless. 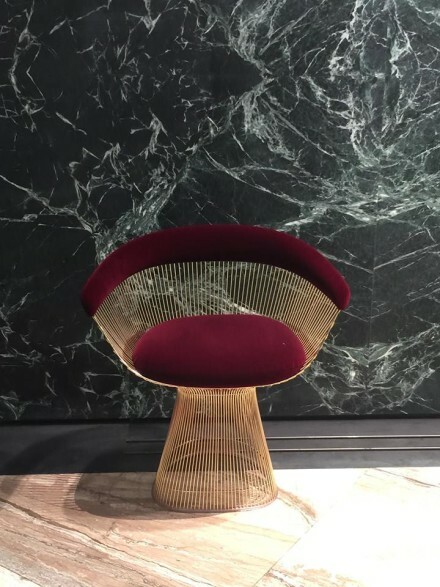 The firm’s founder Hans Knoll belonged to the third generation of a family of furniture makers from Stuttgart, who had moved to the United States with the aim of transferring the ideas and forms of European design overseas. Knoll has always kept faith with the original tenets of the Bauhaus philosophy, according to which modern furniture should complete the architectural space, never compete with it. With the precious contribution of his wife Florence, an active participant in the cultural movements of the time, Hans Knoll had from the outset the fundamental goal of producing furnishings with modern, exclusive design, made with the greatest care from the finest selected materials. Furniture for the office or the home that would stand out because of its unique personality and design and be capable of interpreting or even forecasting the evolution of lifestyles. 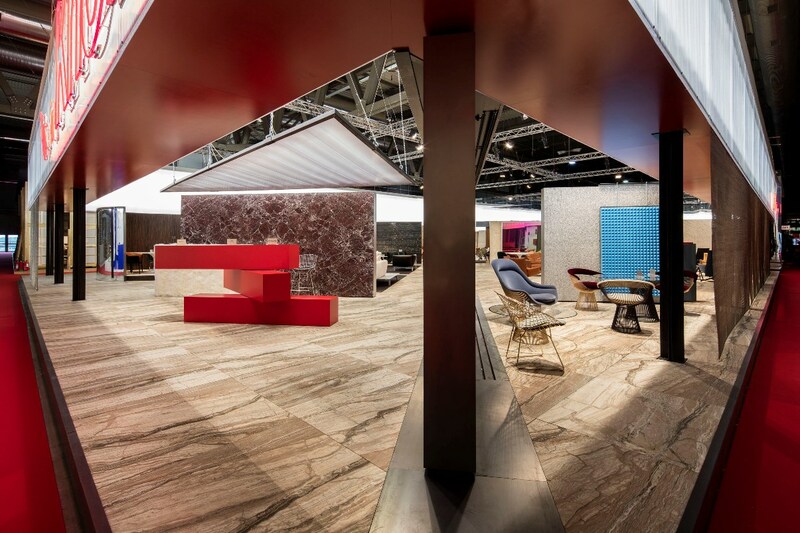 From its US headquarters, Knoll launched a project of international expansion, well ahead of the competition. In 1951, the company set up affiliates in France and Germany, hoping to take part in the projects of reconstruction in post war Europe. For Florence, the choice of designing the first European showroom in the dépendance of a cathedral in Paris offered a concrete opportunity to present the design and spirit of the Modern Movement to a new audience. 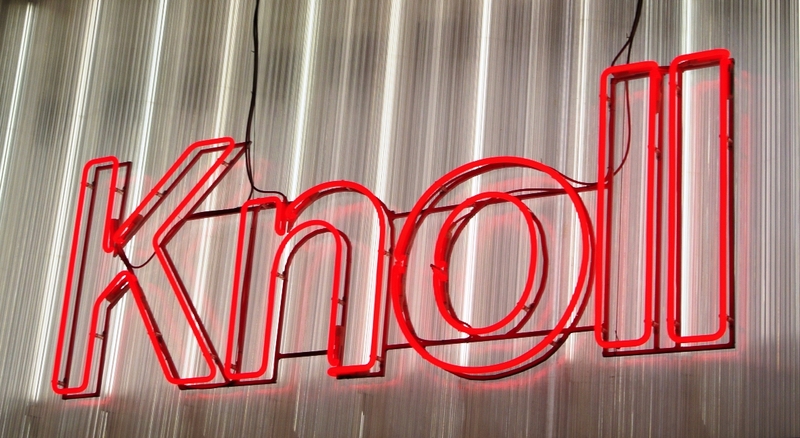 In 1956 the European expansion continued with the opening of the first Knoll showroom in Italy, in the city of Milan. Since then, world-renowned architects and designers have continued to gravitate around to Knoll, inspired by the firm’s ongoing excellence, based on the design of Hans and Florence. 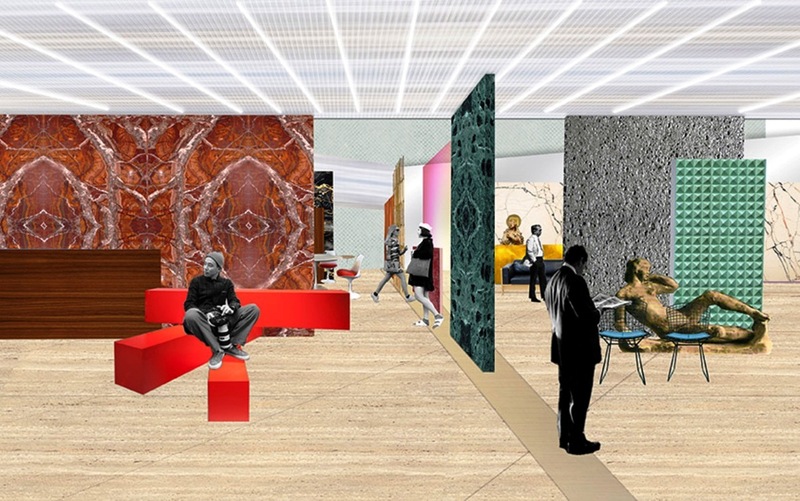 The permanent collection of Knoll includes furnishings designed by Franco Albini, Don Albinson, Gae Aulenti, Enrico Baleri, Harry Bertoia, Achille Castiglioni, Frank Gehry, Alexander Girard, Haussmann, Piero Lissoni, Lovegrove, Mercer, Charles Pfister, Warren Platner, Charles Pollock, Jens Risom, Richard Sapper, Richard Schultz, Massimo & Lella Vignelli, Sottsass Associati, all the way to more recent contributions of David Adjaye and Barber & Osgerby. Always in the design avant-garde, over the years Knoll has been able to keep the special personality of its unique, timeless furnishings intact. 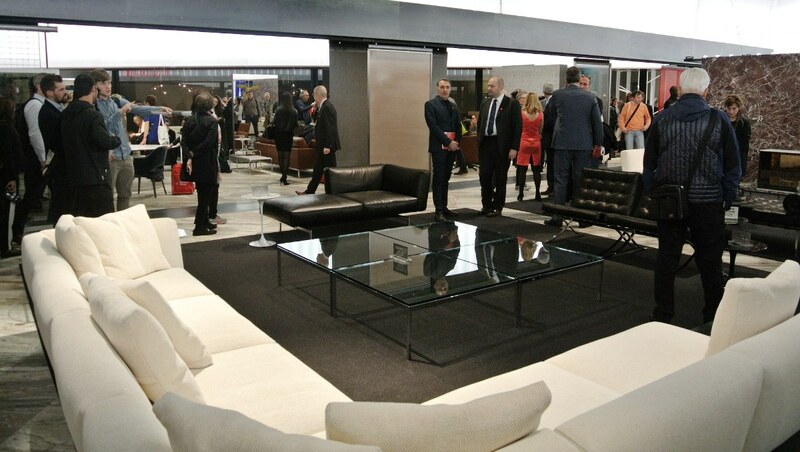 Alongside the historic products, including over forty classics held in the permanent collections of the world’s most important museums, new designs have continuously been added, capable of combining innovation and technology, reflecting the brand’s ability to envision personalized solutions and to diversify offerings to suit different markets, both for living spaces and workspaces. 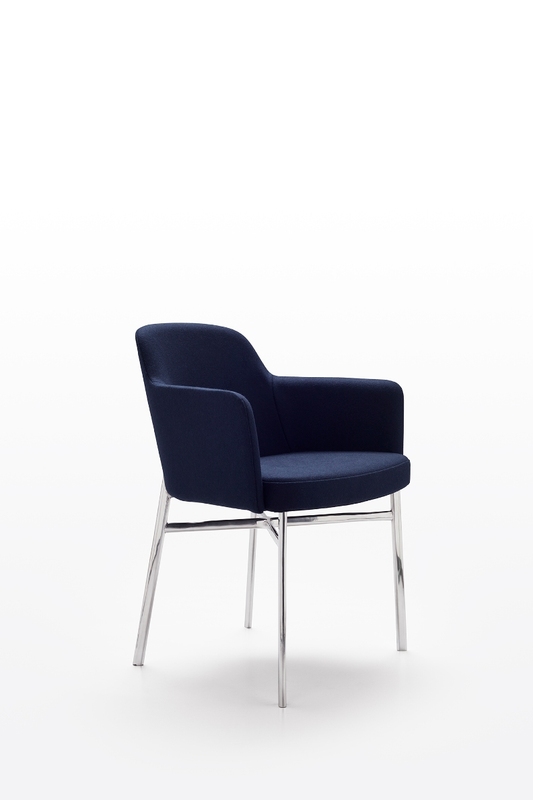 The KnollStudio collection, for the residential sector, includes seating, tables and desks with a domestic look that also works perfectly in executive offices, modern classics that epitomize elegance and fine craftsmanship, through the distinctive, emblematic details of the Knoll style. At the same time, the Knoll Office product line includes systems and seating for the office, desks in wood and metal, as well as cabinets and accessories for the workplace. Relying on unique experience in the creation of modern work environments, having monitored the evolution of the office over time, from managerial spaces to executive suites conceived to operate with a fully interconnected workforce, all the way to the more dynamic activities of contemporary businesses, Knoll Office still keeps faith with its original philosophy, firmly based on the needs of users, combining spatial research and innovative thinking. 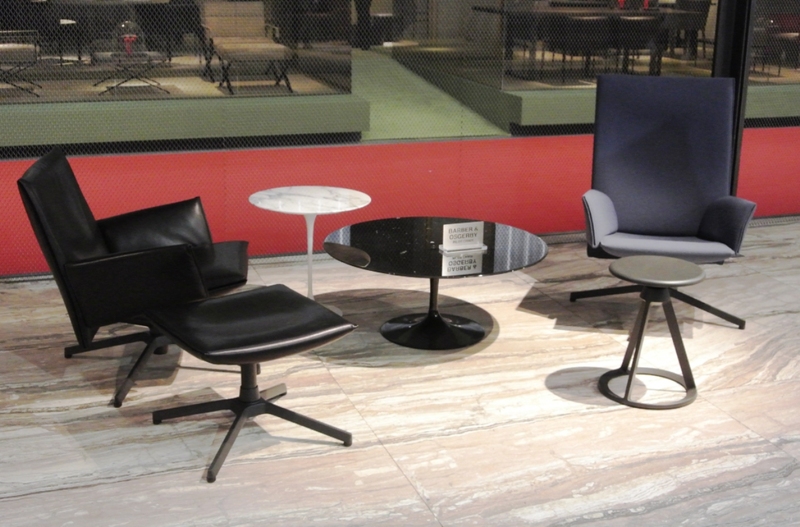 In 2004 Knoll Inc. was listed on the New York Stock Exchange (NYSE), and today the firm has eleven monobrand showrooms in the United States, in cities like New York, Chicago, Washington DC, San Francisco and Boston, and with three proprietary showrooms in Europe: Milan, London and Paris. The company pursues its objective of offering design, innovation, functional excellence and quality all over the world, extending its reach into all markets through an intensive network of selected dealers. 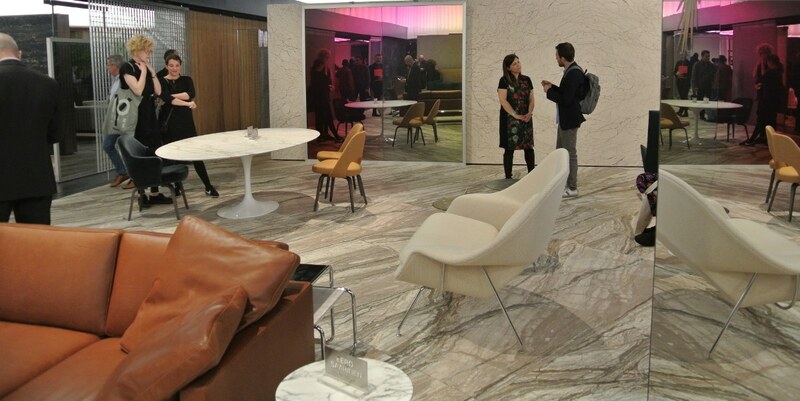 While Knoll’s main offices are in the United States, with headquarters in New York and plants in Grand Rapids, Michigan, East Greenville, Pennsylvania and Toronto, Canada. It also has two production facilities in Italy: one in Foligno in Umbria and the other in Graffignana, South East of Milan. The production units apply the most advanced technologies, operated by staff specialized in specific processes, with a particular accent on safety and ecology. 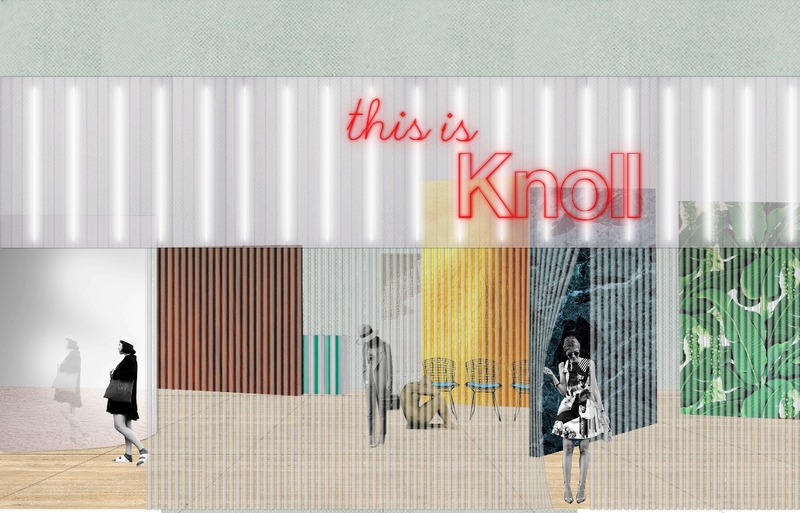 All the initiatives implemented and certifications obtained by Knoll confirm the brand’s commitment to excellence and sustainability. 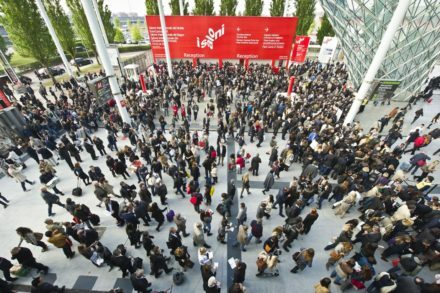 The European division of Knoll has grown, reporting excellent results in recent years in both the residential and the office sectors. 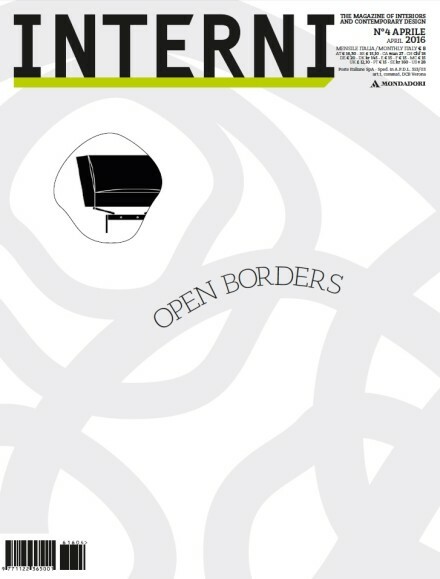 The approach involves investment in the brand and a greater focus on the company’s lifestyle proposition, applying the modern classics in the catalogue, such as the creations of Mies van der Rohe, Saarinen and Bertoia, to increase market visibility, while at the same time adding a contemporary approach with products designed by today’s outstanding talents, including Rem Koolhaas, David Adjaye and Barber & Osgerby. 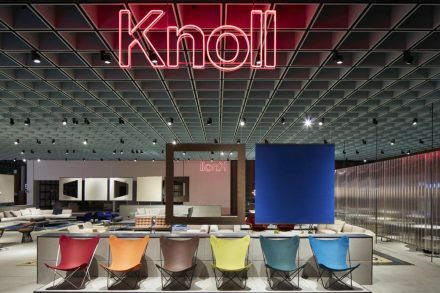 Knoll has received many prizes and honors for its activities, including the National Design Award for Corporate and Institutional Achievement from the Smithsonian’s Cooper-Hewitt National Design Museum in 2011. 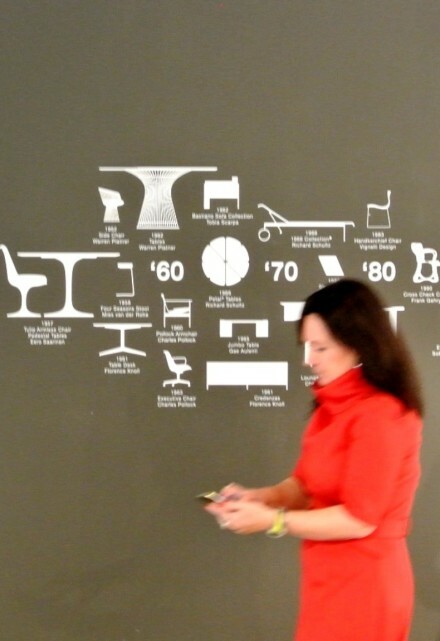 In 2013 Knoll celebrated 75 years of design, based on a modernist avant-garde vision that extends to contemporary design for the home and office. Always timely. Always authentic. 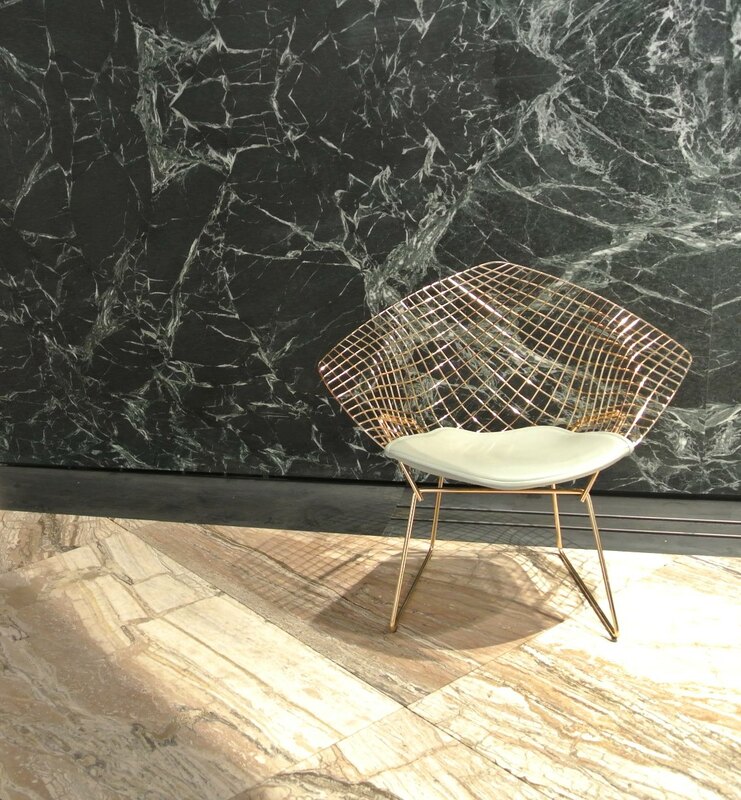 In 2015 Knoll pays tribute to the centennial of the birth of Harry Bertoia by exploring the work of the eclectic designer in all his various art forms with the exhibition “Celebrate Harry Bertoia”. 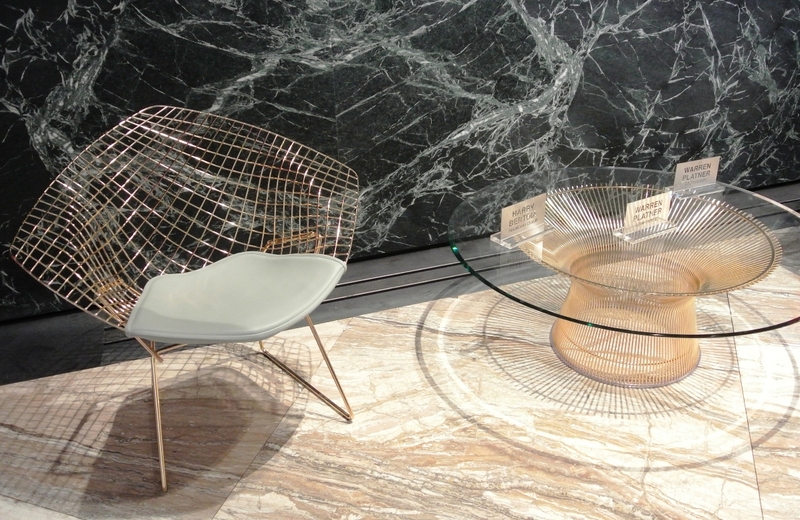 Take a walk through Minotti’s stylish new website and experience the epitome of Luxury and Style….